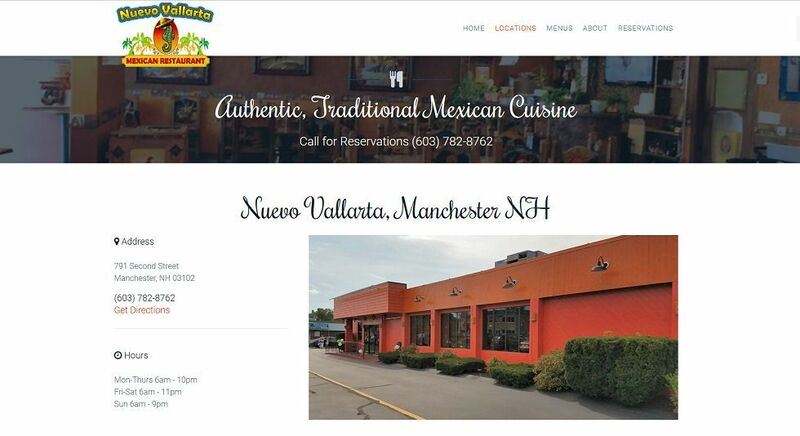 We created a new site that included both locations, Puerto Vallartas and their new Restaurant, Nuevo Vallartas located right on Second Street in Manchester. Their new location offers Breakfast, with a great menu offering Mexican Breakfast fare. The interior of the restaurant is amazing, with attention to detail that really stands out. This attention is also paid to the food, with a new menu that offers an incredible array of traditional Mexican cuisine. We took that authentic look and detail and applied it to the design of the website, building two distinct restaurants and locations into a single website. 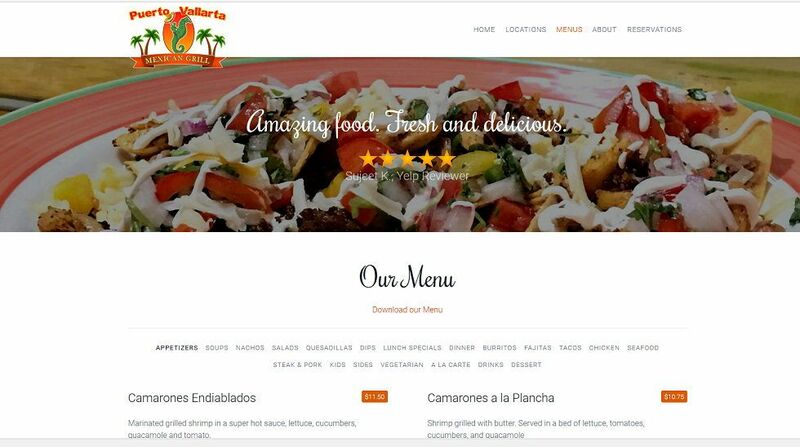 This saved the owners thousands off the price of the website, and allows them to make changes for both restaurants in the same place. Their site is built on an Open Source CMS Platform (Joomla! ), so they completely own and have total control over their site, just like all of our clients. The Vallartas Grill and Restaurant chain enjoys multiple 5 star ratings on Google, so you can be assured you'll enjoy their dishes. They even offer a To Go menu, so you can enjoy their delicious meals at home!